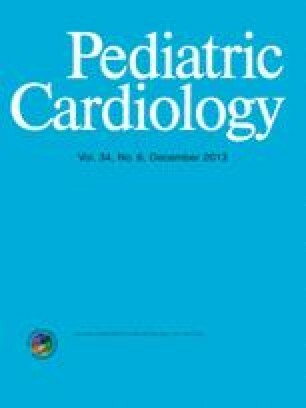 A 3-year-old boy with familial long QT syndrome type 2 presented with recurrent syncope despite adequate beta-blocker therapy. Two family members had experienced sudden cardiac arrest, and one other relative had experienced sudden cardiac death. Given the high risk for ventricular arrhythmia/syncope, the decision was made to perform primary cardiac denervation therapy through a minimally invasive approach without concomitant automatic cardioverter-defibrillator implantation. Using video-assisted thoracoscopic surgery, the left-sided sympathetic ganglia from T2–T5 were identified, and dissection along the sympathetic chain with transection of the corresponding rami along T2–T5 in addition to the lower half of the stellate ganglion was performed. The chest tube was removed on day 1 after surgery, and the patient was discharged on postoperative day 4. During 14 months of follow-up evaluation, no intervening episodes of ventricular arrhythmia or syncope and no symptoms of Horner’s syndrome were noted. The online version of this article (doi: 10.1007/s00246-012-0511-5) contains supplementary material, which is available to authorized users.